Natural Henna boosts your hair growth, cools scalp and skin, treats dandruff and makes your hair shine. AMA Herbal Laboratories Pvt. Ltd., based at Lucknow, UP, India, is engaged in manufacturing of natural herbal products since 1995, predominantly in natural dyes for textile & hair along with herbal holi powder, gulal powder and so on. 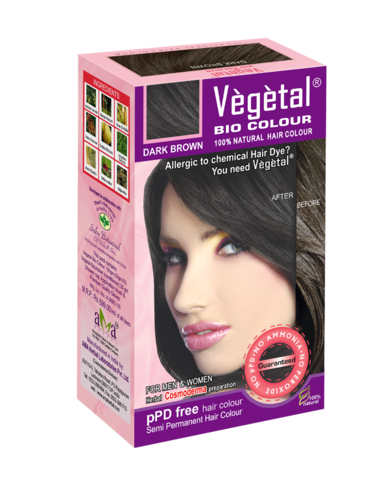 We are the leading manufacturer of various types of natural dyes which are highly demanded for coloring hair. Coupling excellence and perfection into this product range, we meet all the requirements of our clients. These products are manufactured using premium quality plant leaves and roots. Further, these dyes are checked to ensure the accuracy in physical and chemical properties. These dyes are available in the form of cake but can also be offered in powdered form if specified. In addition, we also take intensive care while packing the products to generate finest range of eco-friendly products.